Becoming a Superhero without dying. What does the internationally famous Batman get up to at night in London? 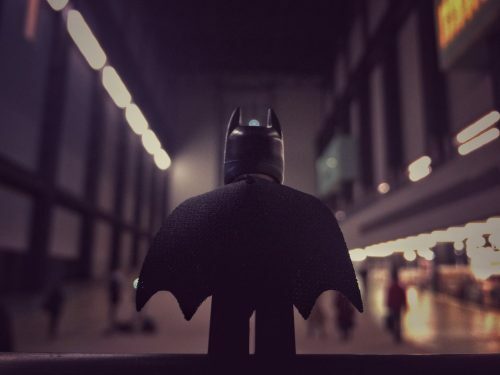 To answer that question, celebrated ‘Legography’ photographer Andrew Whyte has teamed up with The LEGO® Batman Movie with a little help from its star Will Arnett to create a spectacular and humorous set of perspective shots of a LEGO® Batman Minifigure’s day out in London. You can see his day out below, or there are a nice set of his day out if you keep going down! In the irreverent spirit of fun that made “The LEGO® Movie” a worldwide phenomenon, the self-described leading man of that ensemble—LEGO® Batman—stars in his own big-screen adventure. But there are big changes brewing in Gotham, and if he wants to save the city from The Joker’s hostile takeover, Batman may have to drop the lone vigilante thing, try to work with others and maybe, just maybe, learn to lighten up. LEGO, the LEGO logo, the minifigure and the brick and knob configuration are trademarks of The LEGO Group. ©2015 The LEGO Group. Used with permission. All rights reserved. Who is the Gemini Man?